Don’t think that people charged with Medicaid fraud only wear white lab coats. Home health aides, billing specialists, pharmacies, hospitals, third party billing companies, patient recruiters and yes, lawyers have all been charged with Medicaid fraud. This post details the prosecution of a New York attorney as well as a husband and wife owner of several so-called “three quarter” houses. If convicted, the trio could receive 25 years in prison. 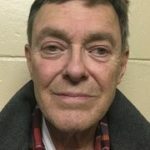 The prominent 74-year-old attorney for the Village of Island Point*, Anthony Cornachio, has been charged with Medicaid fraud and money laundering. Prosecutors say he paid hundreds of thousands of dollars in kickbacks to a husband and wife owner of several Brooklyn flop houses, Yury and Rimma Baumblit. Both are in their 60’s. Given their ages, whatever sentence they receive if convicted could become a life sentence. Anthony Cornachio is a lawyer by profession. In his spare time, however, he owns and operates two drug treatment programs. In many states, including New York, it is not uncommon that people seeking treatment for substance abuse receive Medicaid. 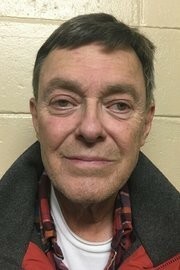 Prosecutors claim that to get more patients in his program, Cornachio paid kickbacks to the Baumblits. The couple would then force their tenants to attend one of Cornachio’s programs. It didn’t matter whether the tenants needed the treatment. According to the court complaint, tenants either went or faced eviction. Kickbacks are illegal under federal and state law. The federal Anti-Kickback Statute is a criminal law that prohibits the exchange of anything of value in an effort to induce the referral of federal health care program business. It doesn’t matter whether you paid, received, solicited or offered the bribe. New York has a similar law. Kickbacks and bribes are illegal in all 50 states. Regulators believe that healthcare decisions should be based on medical necessity and the best interests of the patient. Inject money into the equation and many people begin to put profits over patients. Healthcare decisions should never be based on who is the highest bidder. Since Medicaid is financed with state and local tax dollars. Any misuse of Medicaid dollars hurts taxpayers everywhere. Yury and Rimma Baumblit – Serial Medicaid Fraud Offenders? Earlier this year, the Baumblits were indicted on similar Medicaid fraud charges in a different case. Prosecutors say that in the prior case, the couple is also charged with participating in a kickback scheme in exchange for patient referrals. Because they have other charges pending, the couple is being held and is unlikely to be released before trial. In the present case, the New York Attorney General’s Office has also filed a False Claims Act complaint seeking $5,221,649.28. That means a possible award of between $783,000 and $1.6 million! Getting an award requires that you have inside, “original source” knowledge of fraud involving federal funds or programs. In a healthcare fraud case, that means the fraud must involve Tricare, Medicaid or Medicare. The law also generally requires that the whistleblower be the first to report the fraud. Fraudsters should not be allowed to using the Medicaid system as their own personal “piggybank.” As the provider of last resort, the Medicaid fund is constantly stretched thin. Some patients face long waits to find treatment. Forcing patients to go treatment sessions that they don’t even need hurts taxpayers and patients. The only ones benefitting are usually the fraudsters. Have information about Medicare and Medicaid fraud involving kickbacks? Our False Claims Act whistleblower clients have already collected millions of dollars in award monies. Call us for a no obligation, no fee consultation. Our goal is to help you stop the fraud, protect you from retaliation and insure that you the maximum possible award. We will gladly investigate, file and prosecute the whistleblower lawsuit on your behalf. You never owe us any legal fees or costs unless you recover money. or by telephone at (414)-704-6731 (direct). All inquiries protected by the attorney – client privilege and kept confidential.